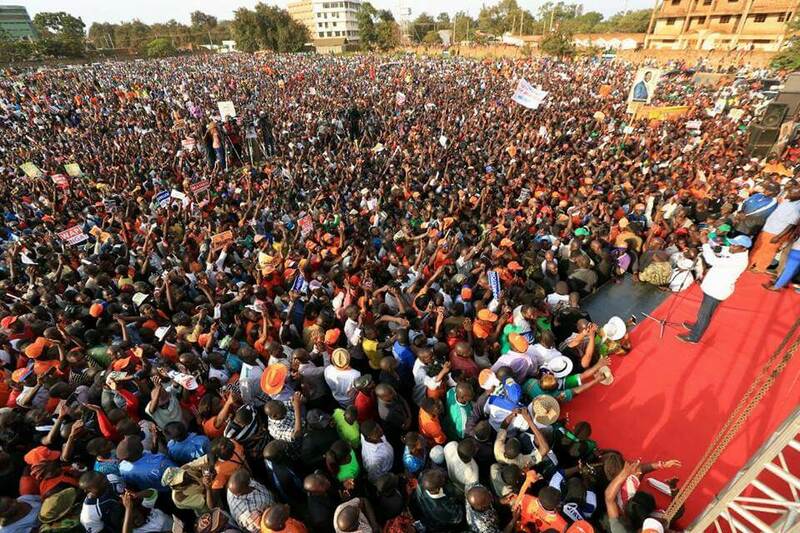 NASA in Narok: "No elections if any presidential candidate is touched by the Government." Says Kalonzo Musyoka. - Bana Kenya News, Real African Network Tubanane. Home featured News NASA in Narok: "No elections if any presidential candidate is touched by the Government." Says Kalonzo Musyoka. 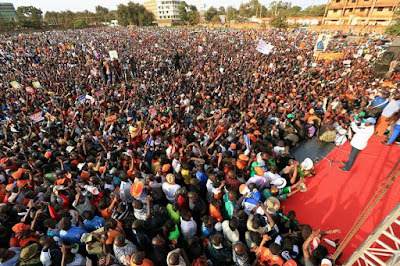 NASA in Narok: "No elections if any presidential candidate is touched by the Government." Says Kalonzo Musyoka. Kalonzo Musyoka has called out people Narok to come out and for NASA in large numbers. In the Narok rally, he said the threats of the interior CS Joseph Nkaiserry and fluted to dare touch any presidential candidate if they do not want to have elections in August. Raila called on the Maasai community to stop from selling their land to outsiders in a bid to fight abject poverty. He said if he wins the general election, his administration will economically empower the community and guarantee the habit of selling land ends. The government, however, said the remarks were provocative and likely to cause chaos and called for Raila’s arrest. But Kalonzo, who is Wiper leader, said: "Raila is a presidential candidate just like Uhuru Kenyatta. If you want Kenya to collapse, try and touch Raila. "There are those who have been sent here to record what we are saying and take this to Nkaissery. We say 'record properly'." Kalonzo spoke on Wednesday during a campaign rally at Enoosaen town in Narok county. The Wiper leader hit at Jubilee accusing it of misrule and mismanagement of public funds since it ascended to power. "Imagine we are left with exactly 40 days to the elections. We are counting the '40 days of a thief' for Jubilee to go home," Kalonzo said. Raila Odinga said that the NASA government will look for all angles of the economy to ensure people are elevated to new levels. The living standards debate dominated the rally saying when elected they will make sure that all basic commodities, the price will be low and affordable.